Often I will complete a painting, put it aside and then revisit it some time later with "fresh eyes" and notice something that might improve it. "From the Top" was one of those paintings that I was happy with initially, but the more I looked at it, the background color was too uniform and looked flat to me. The background color was very pretty but maybe too intense so it seemed like it wanted to jump forward. This week, I made some revisions to give the background some more atmosphere. Added some more bits of warm light to some of the flowers and more darks to some of the leaves for greater contrast. I still like the original version, but the revised version has more mood and drama. What do you think? Was delighted to attend the wedding of one of my long time painting students this past weekend. 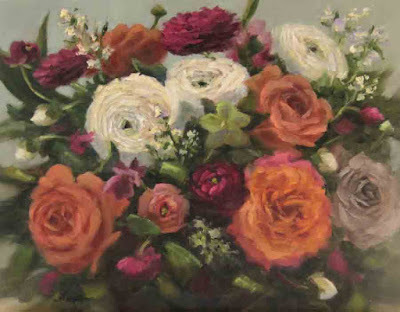 Created this painting inspired by the lovely floral arrangements at the reception. a little bit different color palette than I usually paint and softer lighting. Challenging to paint, but fun nonetheless. 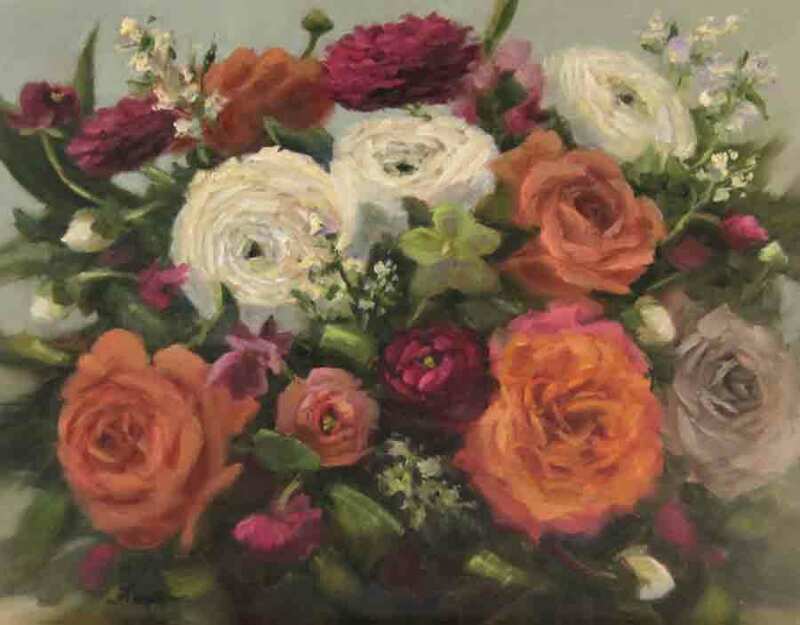 Event Savvy Atlanta created the beautiful arrangements that inspired this painting. See more about them at: https://www.facebook.com/eventsavvy/. 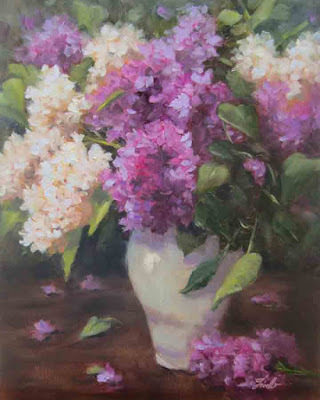 Revisited some beautiful lilacs I remembered from a painting trip to France several years ago. The lilacs were growing abundantly all over town. They smell wonderful and are so much fun to paint! 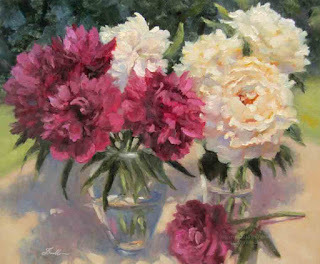 I had the great opportunity to paint in a workshop with Dreama Tolle Perry when she was in Atlanta several years ago. 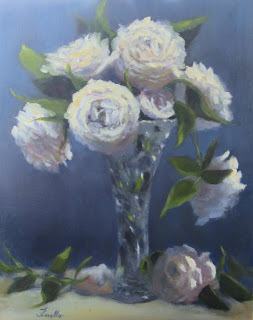 I have also studied with Hedi Moran, who was one of Dreama's mentors, so was familiar with and mostly paint with the method of transparent underpaintings and finishing with thicker more opaque paints on top. but still picks up some new tips. There is always something to learn from everyone. This year, Dreama launched an innovative on-line program. One of the things that had me register was the program was more than just a series of "how to" painting videos, but was more comprehensive in that it dealt with the inspiration and more emotional side of making art. The program did not disappoint, Dreama's "Dream.Love.Paint." 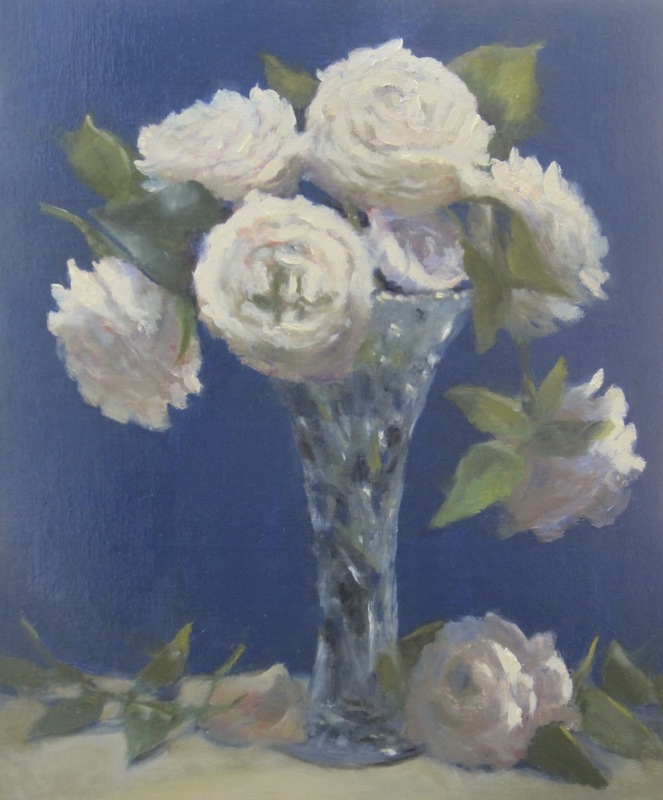 progam offers both a very professional education on the techniques and how to's of painting but also a very sensitive and real dialogue about the inner work of painting. I love her notion of "plant yourself in JOY" when you step in front of that easel. 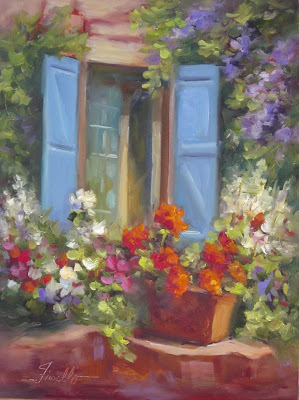 One of the double edged swords of painting is that you never seem to be as good as you want to be. On one hand that keeps us open and growing, inspired to pursue a sense of mastery. On the other hand, it can also create a doubting voice in your head thinking that your art is not good enough, or worse that you are not good enough. Dreama's program was very positive and empowering and I find myself back in the place of fun and excitement I was in when I first started painting over 20 years ago. She had 6 different "paint along" lessons over 6 weeks too. 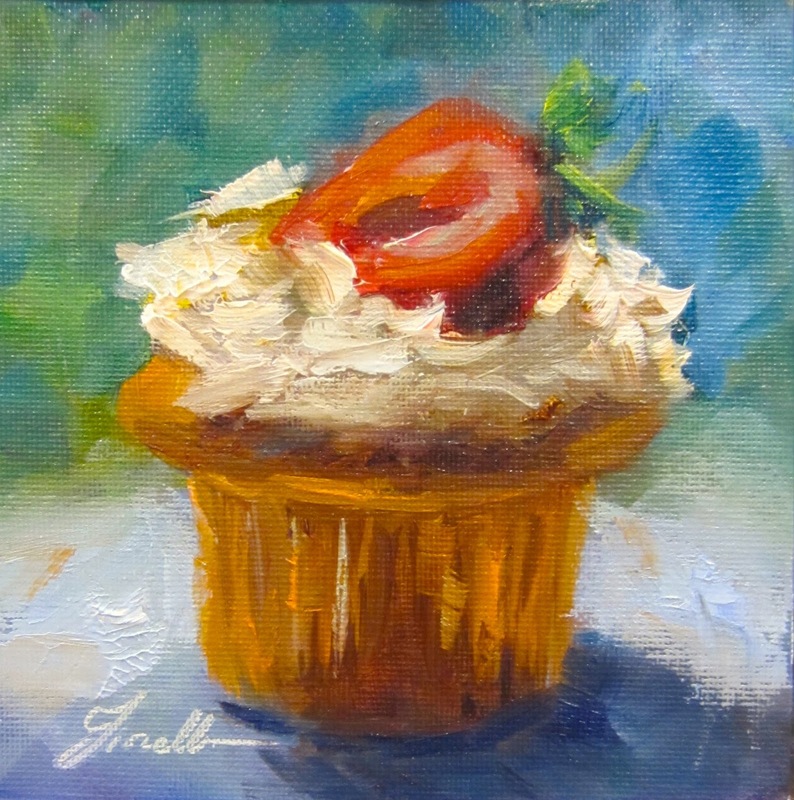 This post includes all 6 recently completed during the program. If you are looking for some fun instruction and inspiration, I'd recommend you check her program out. 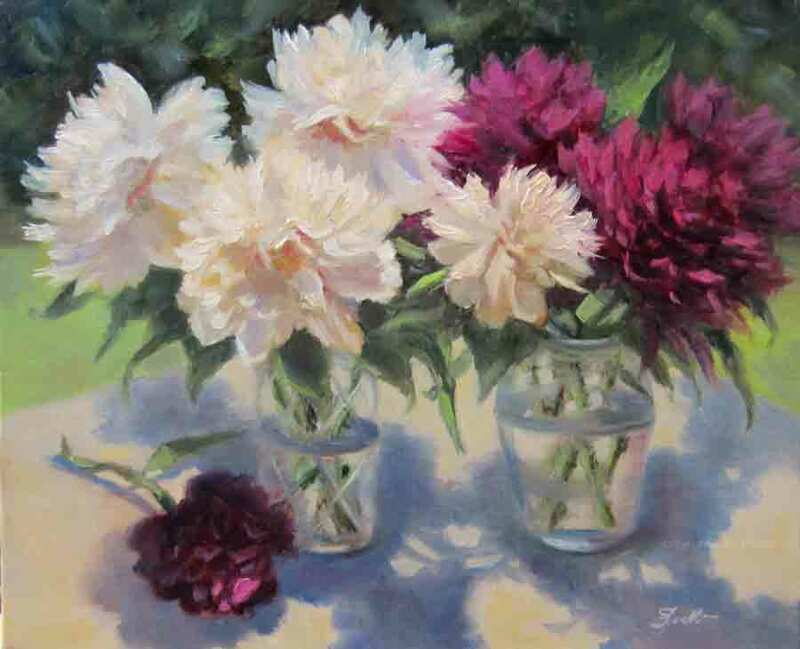 I did a painting of some peonies out in the garden a couple of weeks ago ( based on a photo of a set up from last Spring when I had fresh peonies). 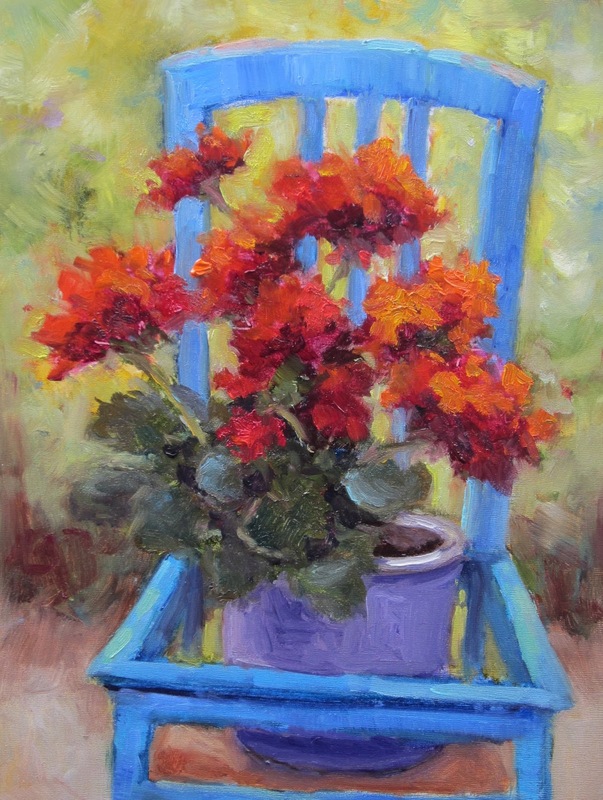 I enjoyed painting it and decided to do a companion piece for another photo taken that same day. The new one about vis Backyard Blooms II and the original below is Backyard Blooms I.
I have an upcoming show at Frameworks Gallery in Marietta GA where these paintings may make their debut together. 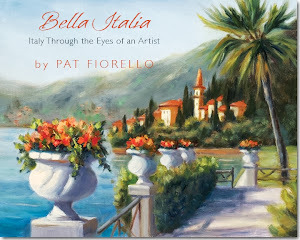 If in the area, you are welcome to attend the opening reception on Thursday April 21, from 6pm-8:30pm. Frameworks is located at 1205 Johnson Ferry Road, Suite 110, Marietta, GA 30068. The show runs thru 4/30.